A Marketing Plan Template Solution that Works! Instead of you trying to fit your business into someone else's plan (like other Marketing Plan Templates do), this solution helps you write a marketing plan that perfectly suits your unique circumstances. YOUR plan will be the template your Company will use for years! This works better so you develop a marketing plan that works for you! 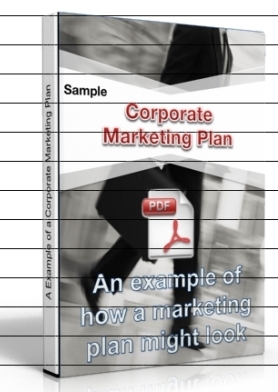 A marketing plan template limits you: Limiting your thoughts with headings listed within that marketing plan template. This Marketing Plan workbook reveals ALL issues relevant to you: You end up preparing a much more effective, tailored & workable marketing plan, made for your company. The result is a marketing plan FAR better for you than any standard marketing plan template could ever hope to inspire. This Marketing Plan Workbook, with a FREE Sample Marketing Plan & MS Word Template document, is so much more useful than a Marketing Plan template, alone: Its a complete Marketing Planning Kit! ... all the information you need to write your plan. This marketing plan workbook... will REALLY help you write a better marketing plan! Much more useful than a marketing plan template or business plan templates you might find elsewhere... with a FREE example marketing plan at no extra cost! "Makes Marketing Plans a breeze to write!" "Helps experienced, trained executives write a marketing plan." 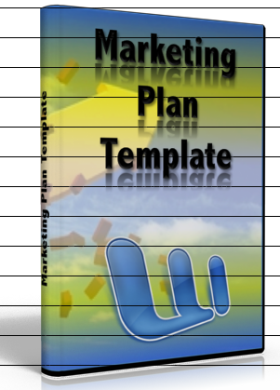 A lone marketing plan template limits you to the thoughts and items described within that marketing plan template. The Marketing Plan workbook opens your mind to ALL issues relevant to YOU, so you end up preparing a marketing plan that addresses YOUR crucial issues. Don't even try a standard marketing plan template, it will only distract you and waste time, and you'll end up with a meaningless document full of trite waffle. 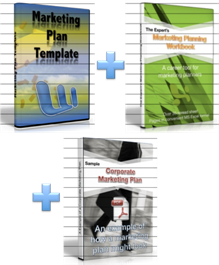 This Marketing Plan Work-Book is Your Marketing Planning Turbo-Charger! This tool helps you deliver a marketing plan FAR better than any marketing plan template could ever hope to inspire. This workbook addresses every commercial step necessary to pen the most impressive marketing plan your company has ever seen. Companies who have had successful marketing plans written and implemented using these worksheets include... TNT | Marion Merrell Dow | 3M | Ajax Chemicals | Sara Lee | CSR | NSW Government... want more? Just ask! You can download this versatile and comprehensive Marketing Plan Workbook, ready to go in Excel format, with added FREE Sample Marketing Plan, AND a standard Marketing Plan Template thrown in, for just A$29.95 inc. GST. If you are not completely satisfied, just email us your reasons and we'll refund the whole amount within 7 days. No matter if you are just starting to write Marketing Plans, of if you are an extraordinary marketing plan writer; you WILL find this tool enormously helpful in improving your planning focus. Using this tool, you'll be able to develop a 'how to' manual that lays out each step of getting EXACTLY what you want to have happen. 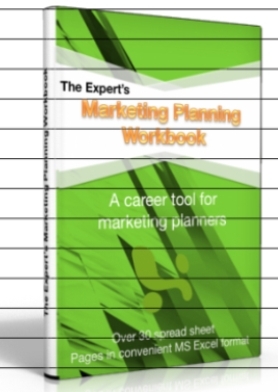 This is the Ultimate Marketing Planning Workbook: It contains practical, applicable and universal tools for marketing planning experts and business executives alike to comprehensively collate necessary information for a concise, usable, marketing plan. TRY IT RISK FREE: If you don't see that the workbook is far better than any marketing plan template you've ever used, just ask for you money back! Do With In Interim Marketing Planner, Instead? If you have read this far, you know you need a profound Marketing Plan... and that takes resources! But why do it yourself? Just fill out this form and a marketing planning and strategy specialist could be on your team and working ASAP. Remember, "Procrastination is the thief of time" and the sooner you start, the sooner you'll reap the benefits! There are over 100 pages on this site, to help you with Marketing Planning, from Brand Management and , down to detailed information on Competition Analysis, CSR (Corporate Social Responsibility), Pricing Strategy and Change Management. Bookmark the LE sitemap as a reference resource when you need to access some in-depth reliable Marketing information. One anonymous user, who admitted to being a competitor, wrote: "My client raved about my Plan!" will help more than any Marketing plan template ever could.